Ukrainian ombudsman informed of detained sailors’ health – Russian human rights official | Russian Legal Information Agency (RAPSI). 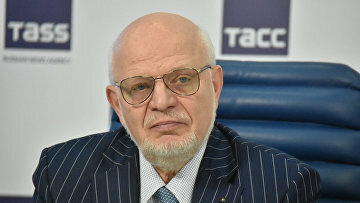 MOSCOW, March 12 (RAPSI) – Chairman of Russia’s Presidential Council for Human Rights Mikhail Fedotov has informed Ukrainian ombudsman Lyudmila Denisova about health condition and treatment of sailors detained on charges of illegal border crossing in the Kerch Strait, the advisory body’s press service has told RAPSI. According to Fedotov, medical support of Ukrainian sailors has been organized in accordance with law. Andrey Artemenko, one of the sailors wounded during illegal crossing of Russian borders, is still undergoing treatment while two others, Andrey Eider and Vasily Soroka have been discharged from a hospital in satisfactory condition. In late February, Russia’s High Commissioner for Human Rights Tatyana Moskalkova said that three wounded Ukrainian sailors received a complex medical examination in a civilian hospital. All three men are satisfied with the treatment they got, the statement read. Moskalkova said in December that the sailors’ rights were not violated. Their rights were observed as required by international and Russian laws, she told journalists at that time.